Trust, transparency, communication, and fairness in the planning and management of conservation projects may be more important for gaining long-term local support than emphasizing ecological effectiveness, UBC-led research has discovered. In the study, released today in Conservation Letters, researchers surveyed small-scale fishermen in six European countries about their perceptions of and support for marine protected areas (MPAs). 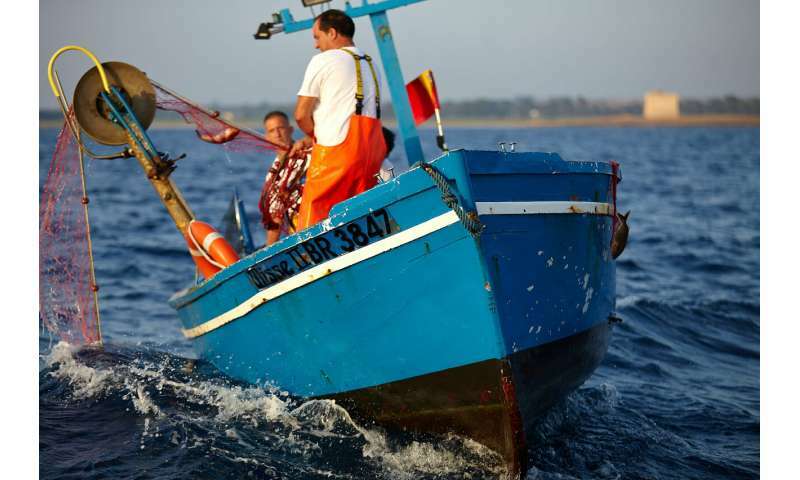 "The Mediterranean and Black Seas are fished at biologically unsustainable levels, by the regions' fishing fleet, 80 per cent of which are small-scale fishers," said Nathan Bennett, lead author and research associate in the University of British Columbia's Institute for Ocean and Fisheries and in the ECOSEAS lab at the Université Côte d'Azur. "Gaining local support for one of the area's common management tools—marine protected areas (MPAs) - is vital to ensure conservation measures are in place and successful in the long-run." The survey focused on three key factors—ecological effectiveness, social impacts, and good governance—and how these related to local support. Overall, respondents were supportive of marine protected areas overall with 29 per cent voicing strong support, and only 5.4 per cent expressing strong opposition. Ecologically, the respondents felt that MPAs had a positive impact for fish abundance and habitat quality. Social impact indicators, including income, livelihoods, food security, knowledge, community social well-being, and connections to nature, were mostly neutral. However, the responses were not as optimistic for the 'fairness of the impacts' or for good governance indicators such as recognition, transparency, accountability, communication, participation, consultation and consent, conflict management, trust, rule of law, and legitimacy. "Results show that for small-scale fishers, perceptions of good governance and social impacts were stronger predictors than ecological effectiveness of their support for conservation efforts." said Bennett. "This has important implications for conservation managers. Building relationships, ensuring transparency, managing conflicts and conducting outreach activities are important investments to ensure local people support conservation." "The take home-message is that working with and communicating to stakeholders will foster support for conservation initiatives," said Paolo Guidetti, senior author and professor at the Université Côte d'Azur. "We hope that this study will help governments and managers in the Mediterranean Sea, and elsewhere in the world, to create more effective marine protected areas." "Local support for conservation is associated with perceptions of good governance, social impacts, and ecological effectiveness" was published in Conservation Letters. This research is part of the FishMPABlue2 Project which was funded by European Territorial Cooperation Programme MED and co-financed by European Regional Development Fund (ERDF). The article says, "trust, transparency, communication and fairness" are more powerful in getting long term local support for conservation projects than, say, ecological effectiveness. In other words, if those running the project smile a lot, talk in local argot, claim to be doing it for "the good of the people", the project can be a fraud, leading to disaster for the people and many if not most won't be able to recognize it. This is a commonplace in many areas. For example, many if not most politicians willfully failing to honor their campaign promises, yet so many still continue to vote. So many say the new politicians will "sweep the rats out of office", ignoring the fact that the rats so many want out of office are individuals they, themselves, voted in to get earlier rats out! So many seem willing to ignore how a "marine protected area" swindle can be used to run small fishermen out of business and turn everything over to the corporations.